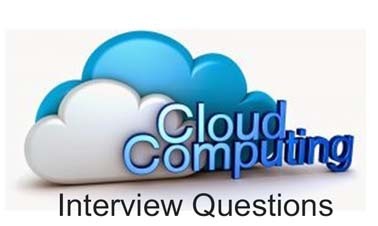 Here we have a set of top asked Cloud computing interview questions that can help you clear your cloud job interview. You will learn different layers of cloud architecture, APIs for cloud, main components of AWS and Azure, cloud availability and reliability, layers of PaaS architecture, cloud service models, importance of Hybrid cloud, cloud security management and more. Learn cloud computing from Intellipaat AWS certification training and excel in your career. 1. Compare Cloud and On-premise Computing? 3. What is Cloud Computing? It is advance stage technology implemented so that the cloud provides the services globally as per the user requirements. It provides a method to access several servers worldwide. Become Cloud Computing Certified in 20 hrs. 4. What are the benefits of cloud computing? 5. Mention the Layers of PaaS Architecture. Automatically creates Virtual machines and controllers. Automatically scales Ups and Downs. 6. What are the Cloud Service Models? 7. What are the components of Windows Azure? 8. What are the differences occurred in Distributed operations? Nova: Parallel process and its shared database. 9. Which agent is equivalent of Nova Compute? 10. Mention the Reliability and Availability of Cloud Computing. Two virtual machines are in single fault domain if a single hardware can bring down both the virtual machines. Azure automatically distributes instances of a role across fault domains. When new version of software is rolled out, then only one up gradation of domain is done at a time. Ensures that some instance of the service is always available. Copies of data are stored in different domains. Mechanism to guard against DoS and DDoS attacks. 11. Give the best example for open source Cloud Computing. 12. Explain the Common storage of PaaS Architecture. Automatically creates the virtual machines and containers. 13. Why Hybrid Clouds are so important? Access capacity or specialized software are available in public cloud and not in private cloud. It has commodity servers and storage. We can run Web servers on OpenStack. Database is built on VCloud. 14. List the platforms which are used for large scale cloud computing. 15. Mention the different types of models used for deployment in Cloud Computing. 16. Explain the Security management in terms of Cloud Computing. 17. Which are the Layers that the scope of Cloud Computing? 18. Explain what is the full form and usage of “EUCALYPTUS” in cloud computing. “EUCALYPTUS” full form stands for Elastic Utility Computing Architecture for Linking Your Programs to Useful Systems”. “Eucalyptus” is an open source software infrastructure in cloud computing, which enables us to implement clusters in cloud computing platform. It is mainly used to build public, hybrid and private clouds. It has the capabilities to produce your own data center into a private cloud and provides to use its all functionality for various other organizations. 19. Mention the name of some large cloud providers and databases. 20. Explain the difference between cloud and traditional datacenters. Cloud being scaled when there is an increase in demand. Mostly the expenditure is on the maintenance of the data centers, while this issues are not faced in cloud computing. 21. What are the uses of API’s in cloud services? API’s (Application Programming Interface are used to eliminate the necessity to write the complete programs. The instructions are provided to make communication between one or more applications. Creation of applications is made easy and access for the link of cloud services with other systems. 22. Mention the different datacenters deployment of cloud computing. Containerized datacenters – Containerized datacenters are the packages that contain consistent set of servers, network components and storage delivered to large warehouse kind of facilities. Here each deployment is relatively unique. Low-density datacenters – Containerized datacentres promote heavy density which in turn causes much heat and significant engineering troubles. Low density datacentres are the solution to this problem. Here the equipment is established far apart so that it cools down the generated heat. 23. List down the three basic functioning clouds in cloud computing. 24. What are the characteristics of cloud architecture that differs from traditional cloud architecture? 25. What are the building blocks in cloud architecture? 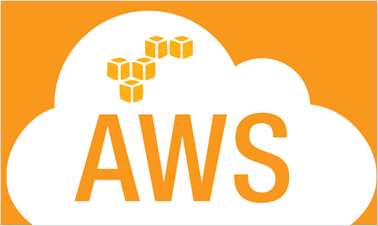 AWS stands for Amazon Web Service which is a collection of remote computing services also known as cloud computing. This technology of cloud computing is also known as IaaS or Infrastructure as a Service. 27. Mention the key components of AWS. Route 53: A DNS (Domain Name SERVER) web based service platform. Simple E-mail Service: Sending of E-mail is done by using RESTFUL API call or via regular SMTP (Simple Mail Transfer Protocol). Identity and Access Management: Improvised security and Identity management is provided for AWS account. Simple Storage Device or (S3): It is a huge storage medium, widely used for AWS services. Cloud Watch: It is used to monitor AWS resources and it allows administrators to view and collect keys required. Access is provided so that one can set a notification alarm in case of trouble. 28. Explain how can I vertically scale an Amazon instance. 29. Explain the security usage in Amazon Web Services model. Access is provided to create a security group for a jump box with ssh access only for port 22 open. Later a web server group and database group are created. The web server group provides 80 and 443 from around the world, but only port 22 are vital among the jump box group. Database group allows port 3306 from the web server group and port 22 from the jump box group. Addition of any machines to the web server group can store in the database. No one can directly ssh to any of your boxes. 30. What are reasons that made Amazon so big? Backup storage of EBS volumes is maintained by inserting the snapshot facility via API call or via a GUI interface like elasticfox. Performance is improved by using Linux software raid and striping across four volumes. 31. What is an AMI? How do we implement it? "0 Responses on Top Cloud Computing Interview Questions – Most Asked"
Sign Up or Login to view the Free Top Cloud Computing Interview Questions – Most Asked.